Powerful spirits don?t tend to ?like? 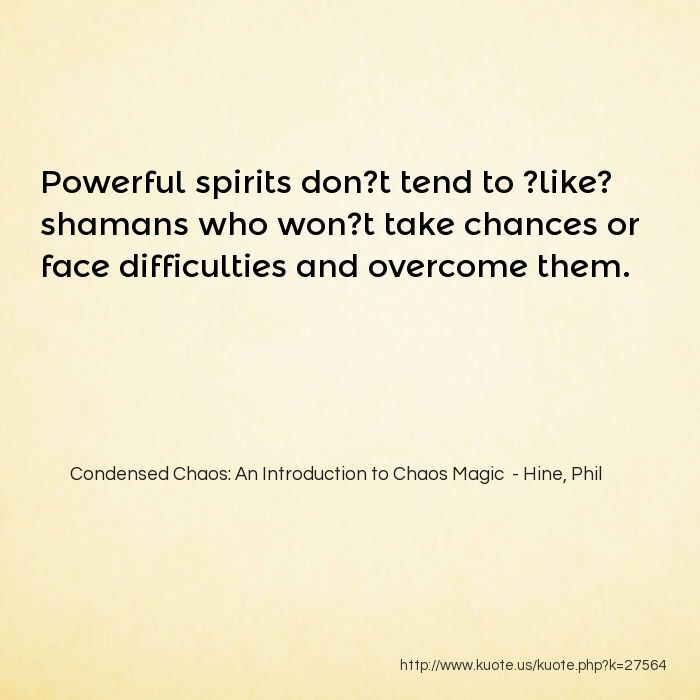 shamans who won?t take chances or face difficulties and overcome them. Part of the problem is that western philosophy has developed the idea of ?ordinary consciousness,? 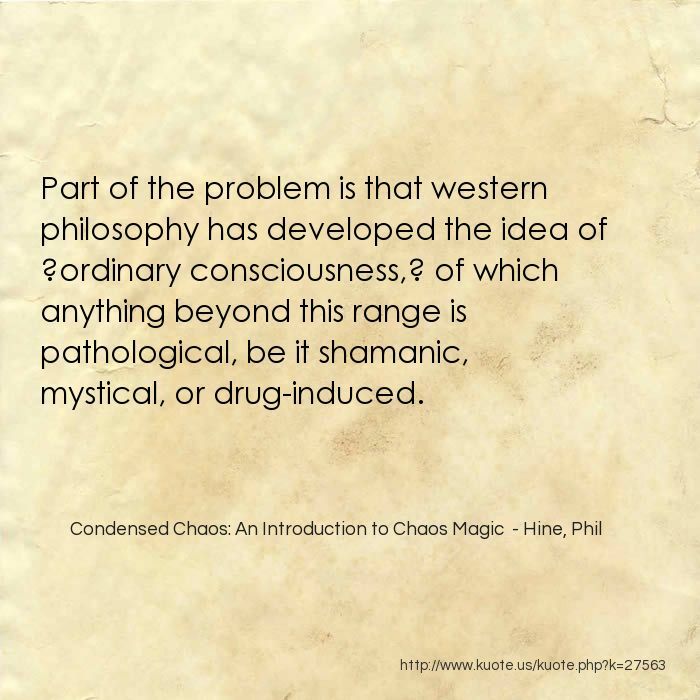 of which anything beyond this range is pathological, be it shamanic, mystical, or drug-induced. 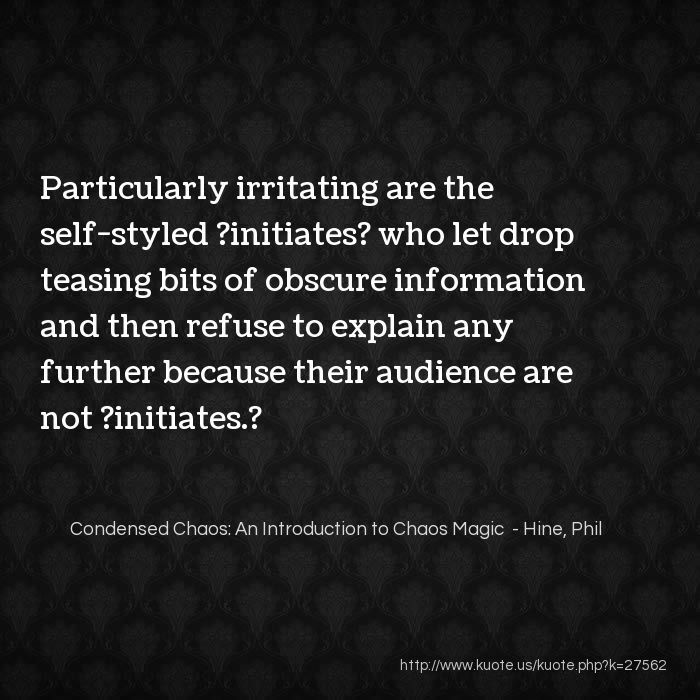 Particularly irritating are the self-styled ?initiates? who let drop teasing bits of obscure information and then refuse to explain any further because their audience are not ?initiates.? 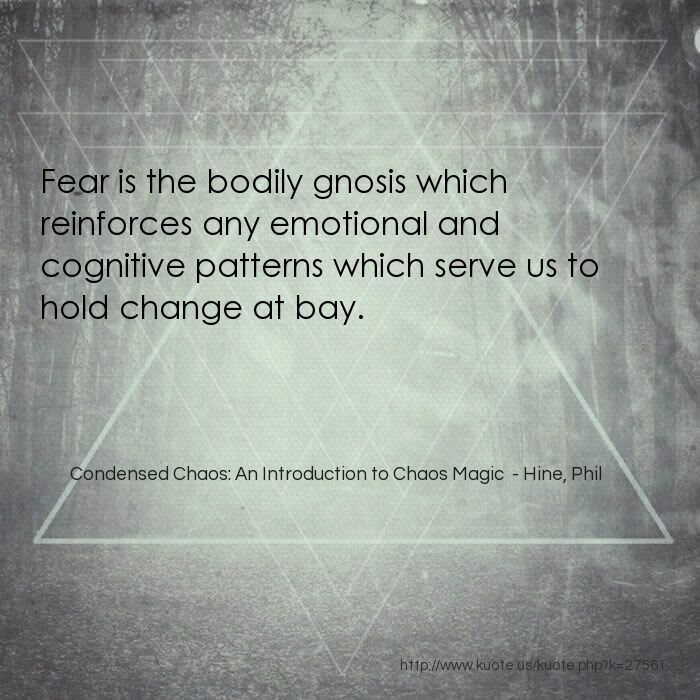 Fear is the bodily gnosis which reinforces any emotional and cognitive patterns which serve us to hold change at bay. 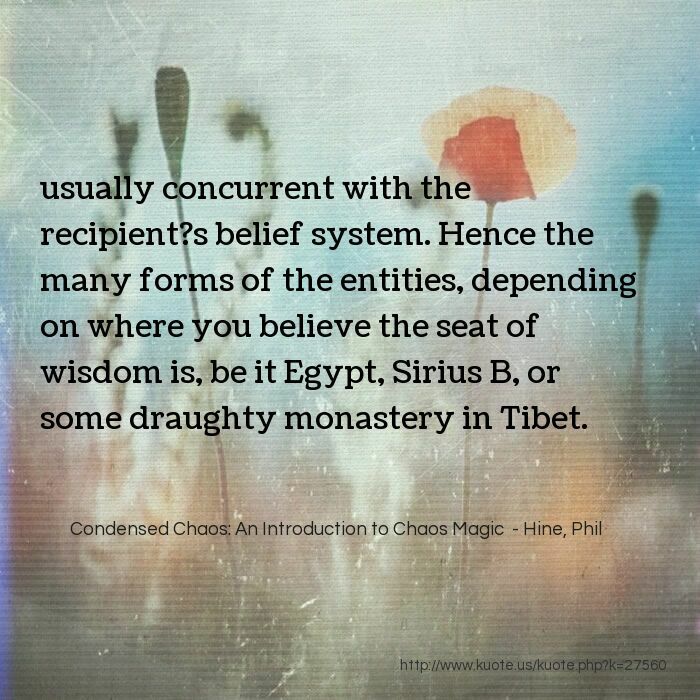 usually concurrent with the recipient?s belief system. Hence the many forms of the entities, depending on where you believe the seat of wisdom is, be it Egypt, Sirius B, or some draughty monastery in Tibet. 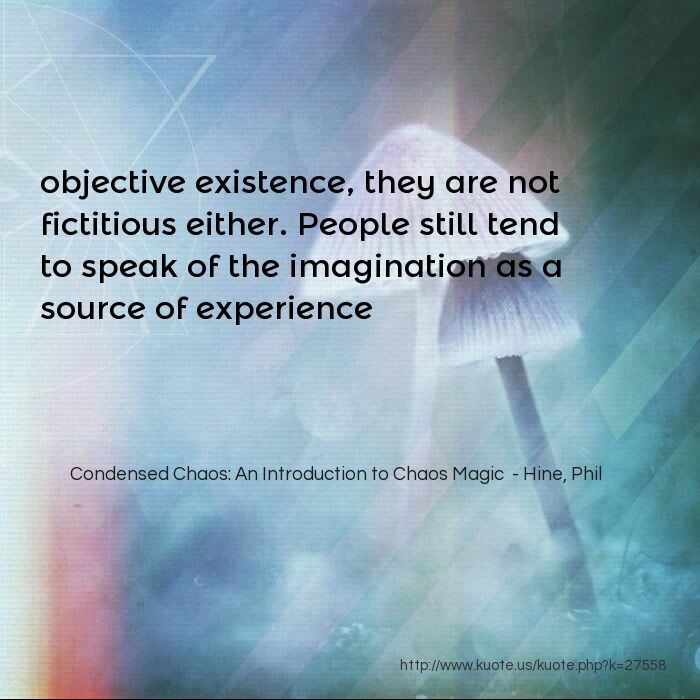 objective existence, they are not fictitious either. 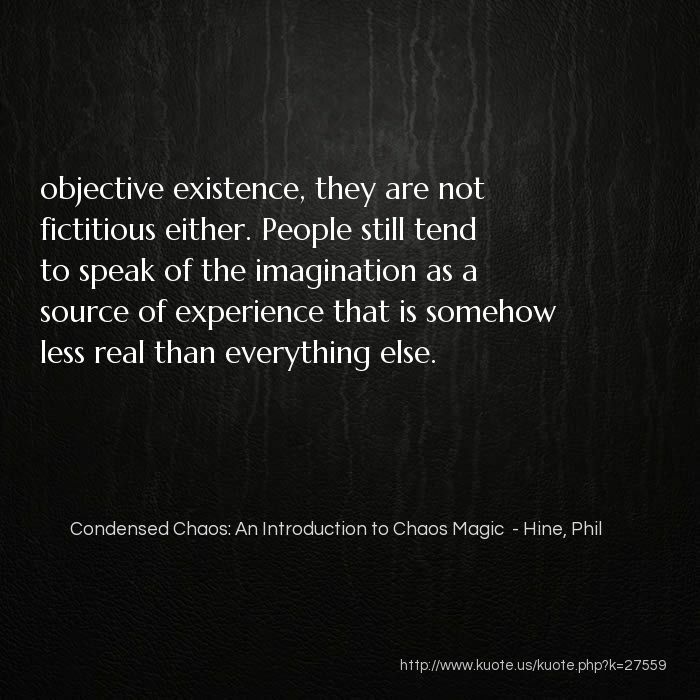 People still tend to speak of the imagination as a source of experience that is somehow less real than everything else. The old saying ?it doesn?t matter what you say, it?s the way you say it? 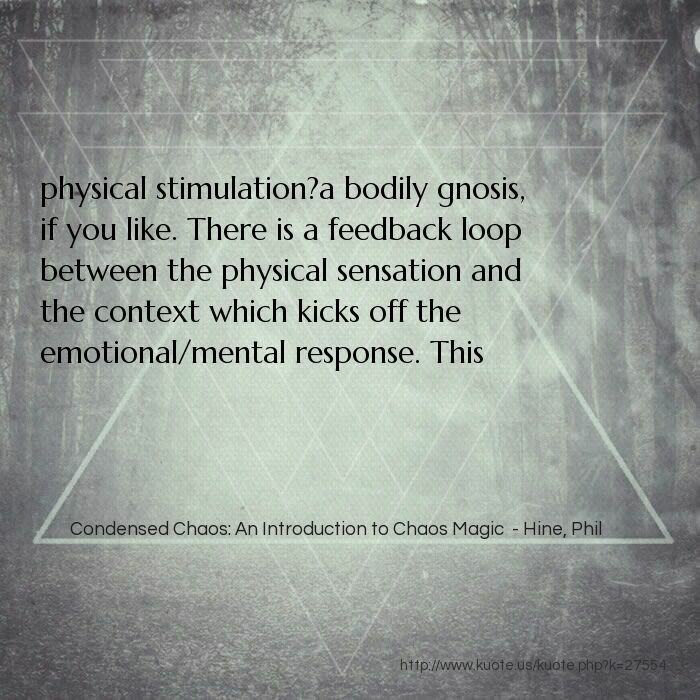 is certainly true of the channeling phenomenon. The message from these cuddly cosmic beings is overwhelmingly one of love and harmony. Love yourself, be yourself. 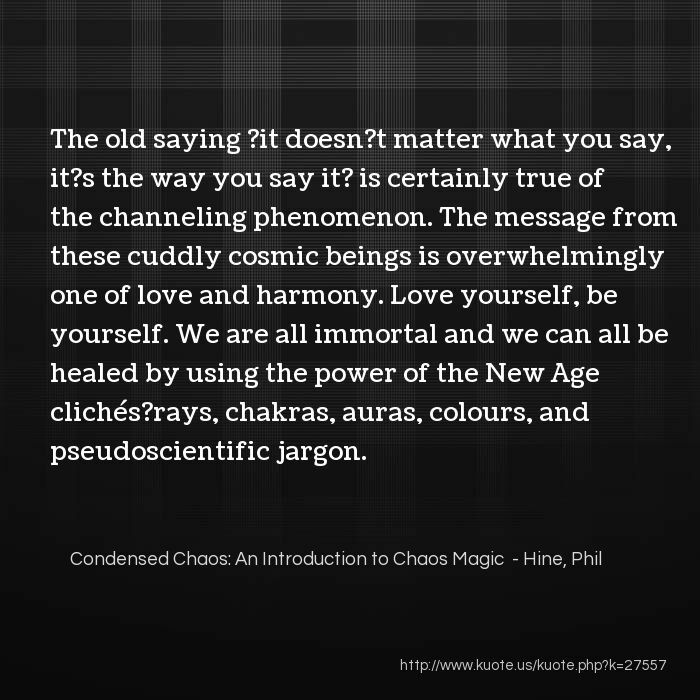 We are all immortal and we can all be healed by using the power of the New Age clichés?rays, chakras, auras, colours, and pseudoscientific jargon. it. 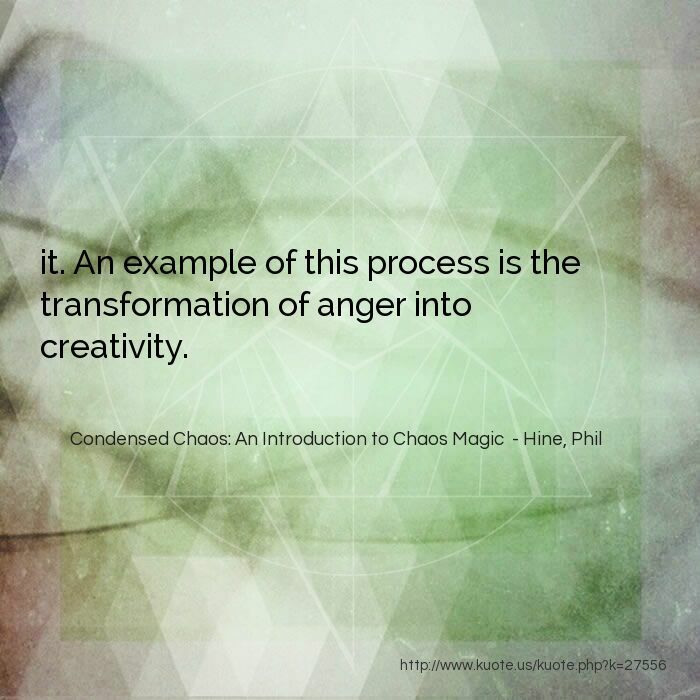 An example of this process is the transformation of anger into creativity. 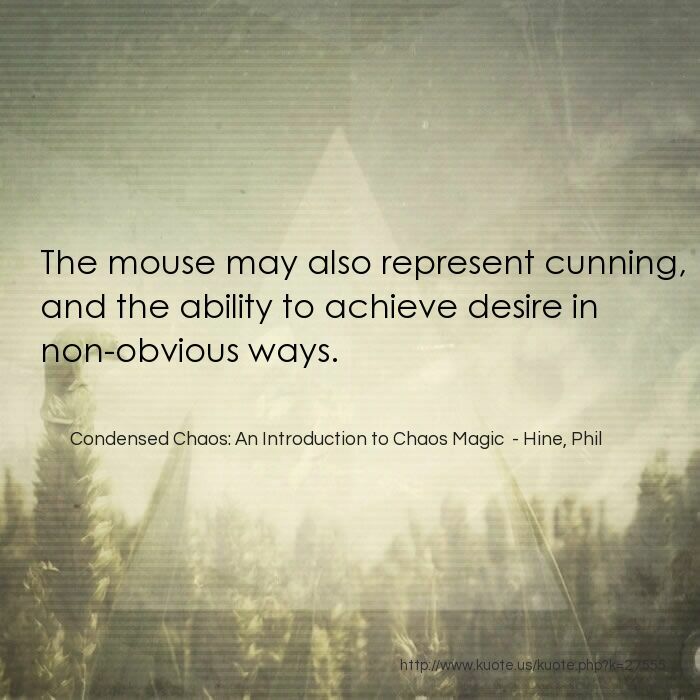 The mouse may also represent cunning, and the ability to achieve desire in non-obvious ways. 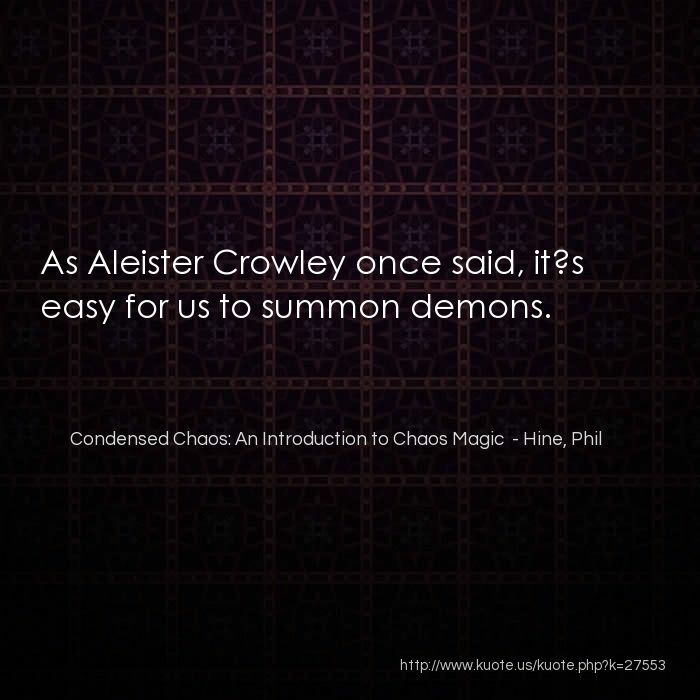 As Aleister Crowley once said, it?s easy for us to summon demons. 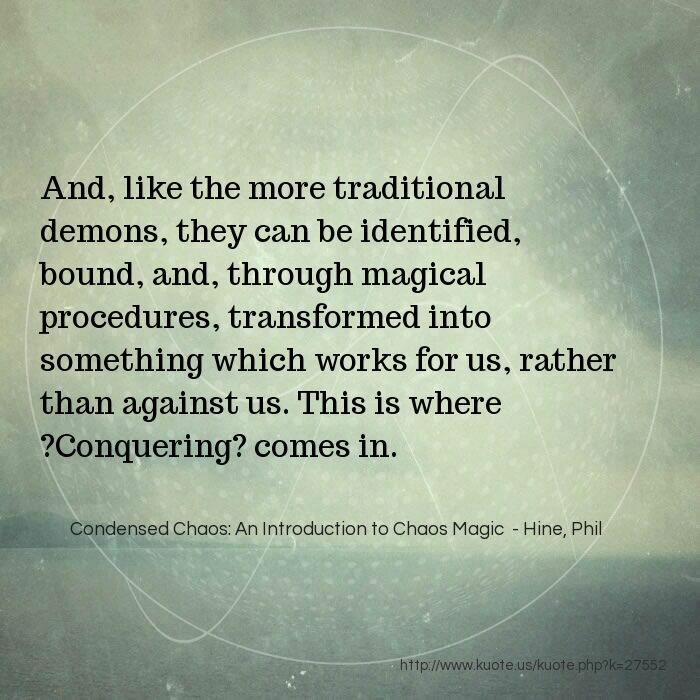 And, like the more traditional demons, they can be identified, bound, and, through magical procedures, transformed into something which works for us, rather than against us. This is where ?Conquering? comes in. 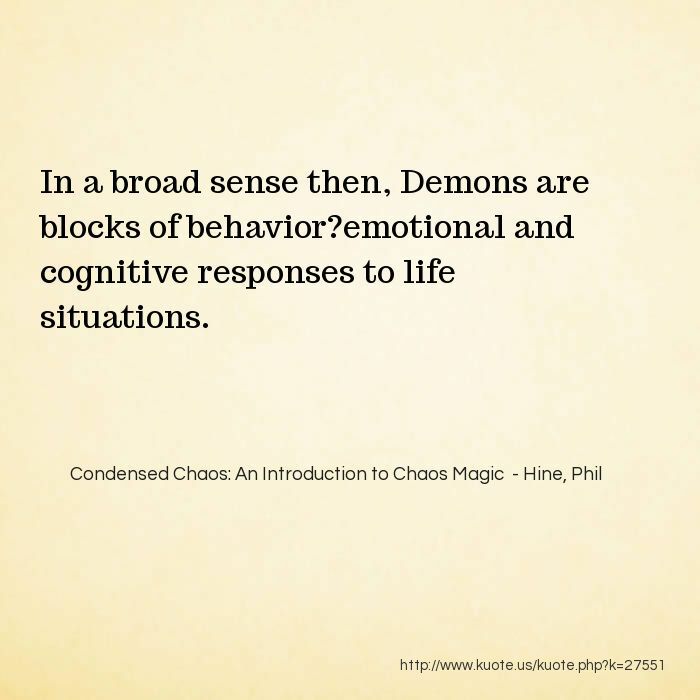 In a broad sense then, Demons are blocks of behavior?emotional and cognitive responses to life situations. 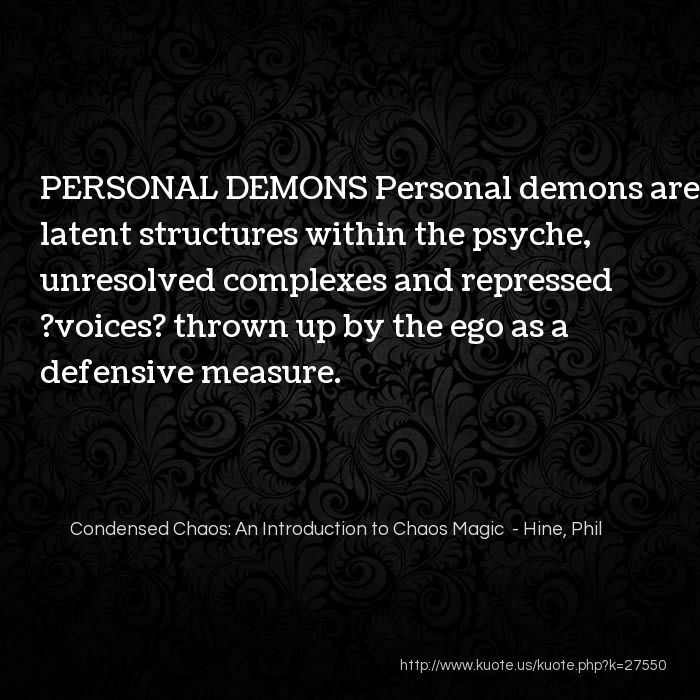 PERSONAL DEMONS Personal demons are latent structures within the psyche, unresolved complexes and repressed ?voices? thrown up by the ego as a defensive measure. 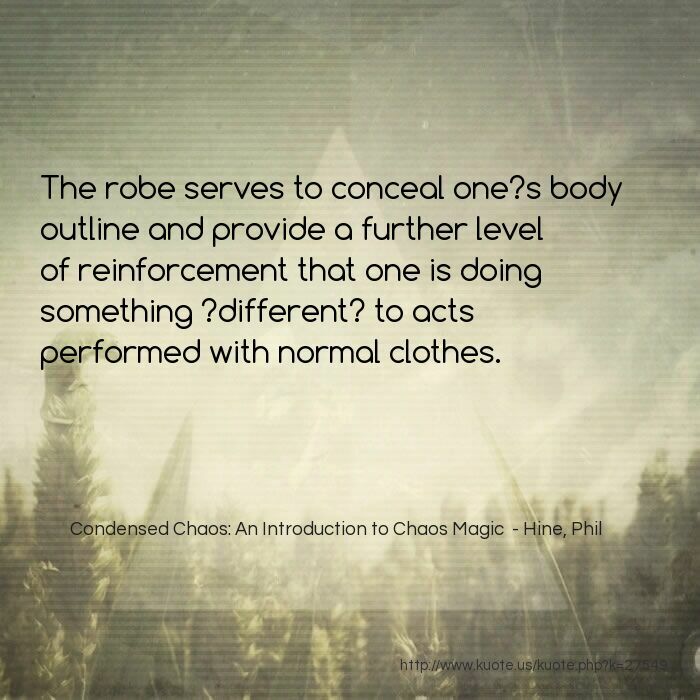 The robe serves to conceal one?s body outline and provide a further level of reinforcement that one is doing something ?different? to acts performed with normal clothes. Moving from ?serious? 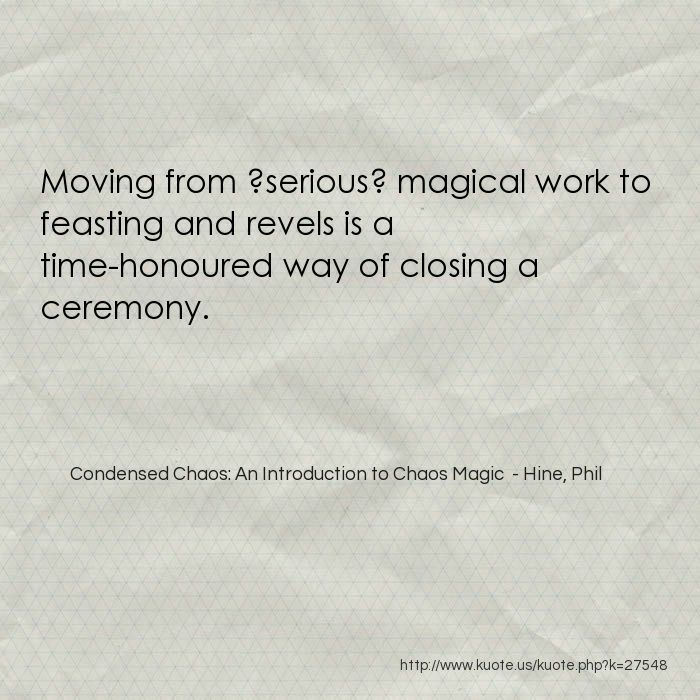 magical work to feasting and revels is a time-honoured way of closing a ceremony. 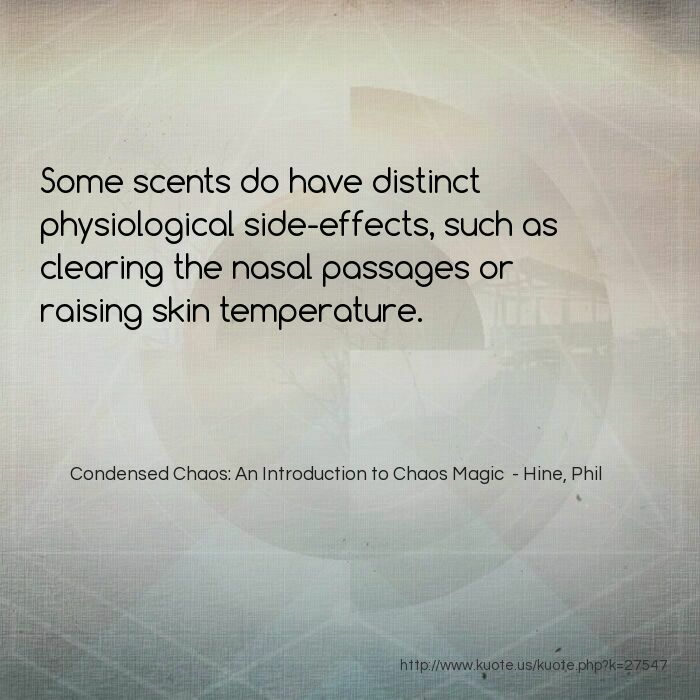 Some scents do have distinct physiological side-effects, such as clearing the nasal passages or raising skin temperature. 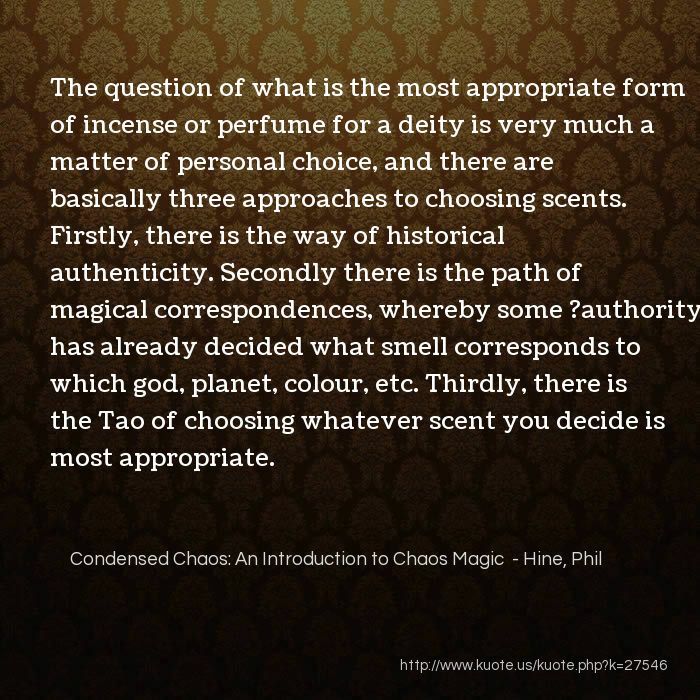 The question of what is the most appropriate form of incense or perfume for a deity is very much a matter of personal choice, and there are basically three approaches to choosing scents. Firstly, there is the way of historical authenticity. Secondly there is the path of magical correspondences, whereby some ?authority? has already decided what smell corresponds to which god, planet, colour, etc. Thirdly, there is the Tao of choosing whatever scent you decide is most appropriate. 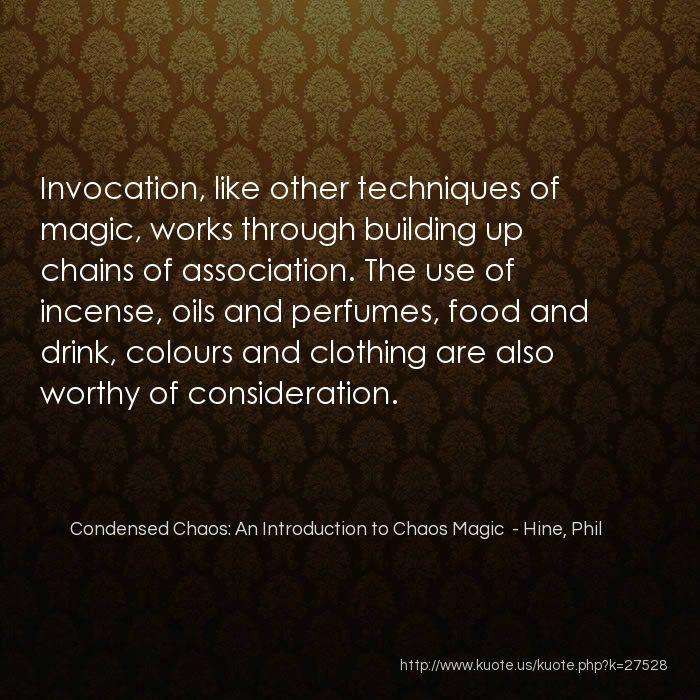 Invocation, like other techniques of magic, works through building up chains of association. The use of incense, oils and perfumes, food and drink, colours and clothing are also worthy of consideration.